Dr. Alleyne is a triple board certified pulmonologist/intensivist at Carolina Pulmonary Physicians. He is a graduate of Harvard College and New York University School of Medicine. Following residency at Harlem Hospital Center, he completed a pulmonary/critical care fellowship at Montefiore/Albert Einstein College of Medicine, where he served as Pulmonary Chief Resident. 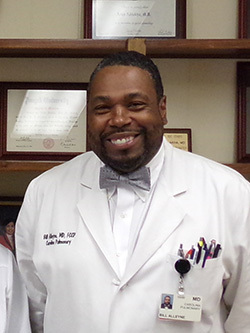 Dr. Alleyne served as Associate Chief of Critical Care at the Beth Israel Medical Center in New York City before relocating to this area. Currently in private practice at Carolina Pulmonary Physicians, he was also a part-time faculty member of the Department of Medicine at Carolinas Medical Center, where he was a founding member of the Hospitalist Service. His academic appointments have included Assistant Clinical Professor of Medicine at Albert Einstein College of Medicine in New York City and Clinical Assistant Professor of Medicine at UNC-Chapel Hill. He is currently an Affiliate Assistant Professor of Medicine at USC Medical School. He continues to lecture on a variety of topics locally, nationally, and internationally. 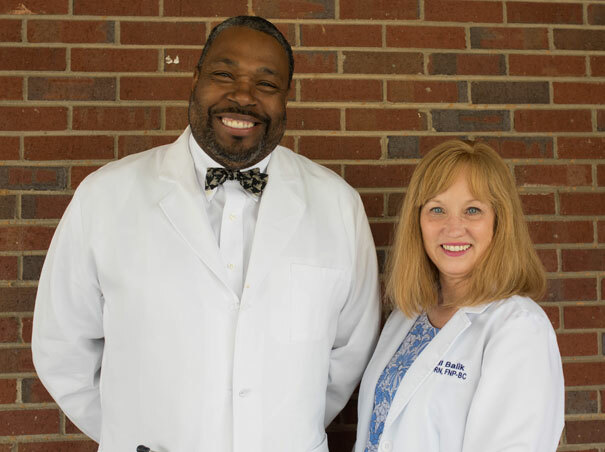 Dr. Alleyne’s professional interests include asthma, COPD, asbestosis, and clinical research. 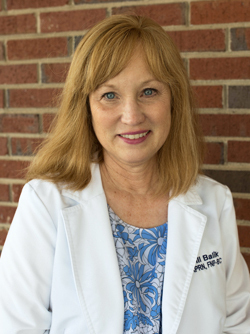 Jill Balik is a board certified Family Nurse Practitioner at Carolina Pulmonary Physicians. Jill began her medical career as a nurse in Pennsylvania and spent many years working in the hospital and raising her family with her husband. She later continued her education to obtain her Nurse Practitioner through The George Washington University, Washington, D.C. In 2014, Jill and her husband relocated to South Carolina. Jill gained employment in Heath Springs, SC in a Pulmonary and Critical Care practice. Carolina Pulmonary Physicians welcomed her as their Nurse Practitioner in 2017. She has proven to be a valuable asset to our staff and patients.